I’m super excited to announce the release of my new book, Vertical Vegetables! 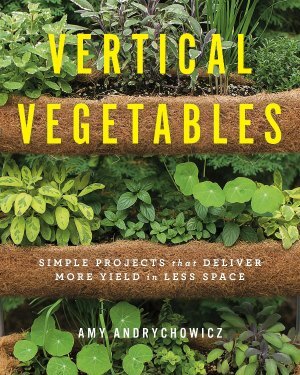 This book is for anyone who wants to learn all about vertical vegetable gardening, including benefits and techniques, design tips, tons of inspiration and ideas, how to choose vertical gardening structures, materials and plant lists, and how to care for your vertical vegetable garden. This beautiful project book also includes almost two dozen step-by-step projects so you can build your own DIY vertical gardening structures too! Click on the “Buy Now” button to order your copy today! 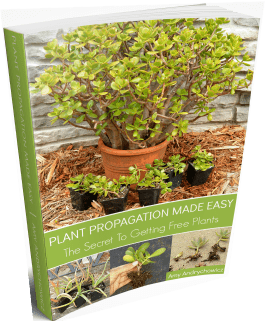 Plant Propagation Made Easy: The Secret To Getting FREE Plants! Are you tired of spending a ton of money buying plants for your home and garden? This eBook teaches you the basic methods for propagating plants. These are methods that you can use over and over to multiply your plants as many times as you want for pennies! If you want to quickly fill a new garden area or your home with as many plants as you want for free, click the buy now button for instant access! Is there anything worse than discovering that bugs are infesting your beloved houseplants? It’s not only gross, but eventually these annoying pests could kill your houseplants! It’s so frustrating!! 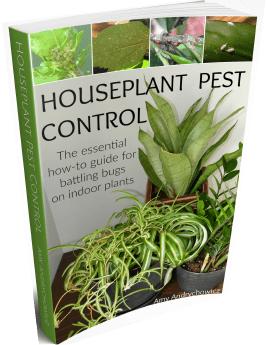 This eBook will show you how to identify common houseplant pests AND effective methods to control (and eventually eliminate) them without using toxic pesticides! Buy it now, and debug your houseplants FOR GOOD! YES, you can start the seeds for your summer garden outside during the winter – even when it’s freezing cold and there’s still SNOW on the ground! Whether you are a gardening newbie or a well-seasoned gardening expert, you will enjoy winter sowing your seeds. 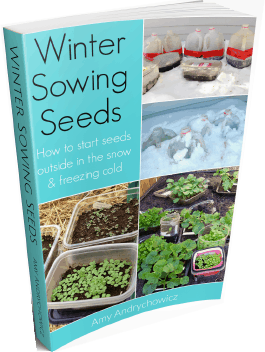 This winter sowing eBook is jam-packed with tips and tricks based on my experience with starting seeds outside during the winter, and it will show you exactly how to winter sow your seeds step-by-step. So, if you’re ready to try something new, or you’ve been wanting to learn this cool seed starting method, then pick up your copy today! Growing houseplants is a fun way to keep yourself surrounded by green year round – but keeping houseplants alive is hard, especially during the long dark winter months. Guess what, houseplants don’t grow the same during the winter as they do in the summer, and they shouldn’t be treated the same either. Keeping your houseplants thriving through the winter doesn’t have to be a constant disappointment or a huge chore. 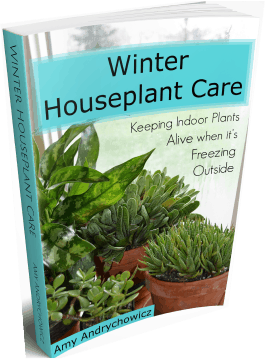 This comprehensive eBook shows you exactly how to keep your houseplants alive and thriving through the winter, and all year long! Growing your garden from seed is one of the best ways to save money on gardening! But mastering the art of starting seeds indoors can be very difficult, and can result in a lot of wasted time and money! I know what it’s like to put all that hard work (and money!) 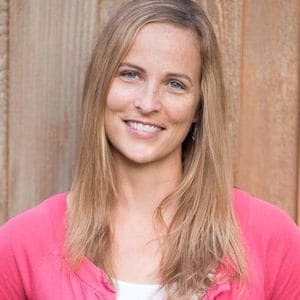 into starting seeds indoors, only to watch your prized seedlings wither and die. It’s the worst! 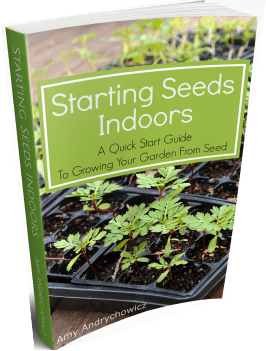 So, if you’re stuck because you can’t find straight answers to help you successfully start your seeds indoors, and you’re tired of wasting your time and money with no success – then this eBook is perfect for you! Whether you’re looking to add beauty and function to your garden, or you simply want to try growing food in fun and exciting ways, these vertical gardening projects are for you! This bundle includes easy to follow instructions that will show you step-by-step exactly how to build 5 unique DIY vertical gardening projects. 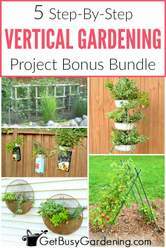 The projects included in the bundle are an A-Frame Trellis, Upcycled Coffee Bag Hanging Planters, Sturdy Tomato Cages, Three-Tier Vertical Hanging Planter, and Upcycled Fan Grill Planters. 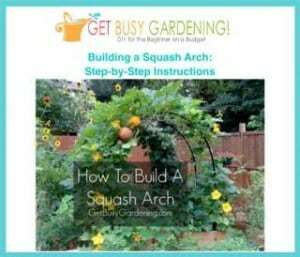 This detailed step-by-step guide will show you exactly how to make your own squash arch, including full color photos to help guide you through the steps. The instructions are easy, and anyone can build this gorgeous, inexpensive DIY garden arch (even if you’re not a handy person!). One of the dilemmas many gardeners face is how to properly support their tomato plants. Flimsy wire cages are no match for full grown tomato plants. That’s why I built my own sturdy tomato cages, and you can too. 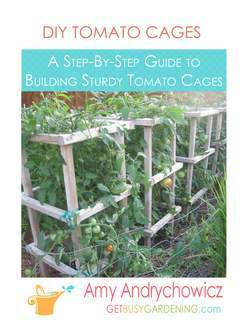 These easy to follow instructions will show you step-by-step exactly how to build your own sturdy tomato cages, including full color photos to help guide you through the steps. I haven’t had a tomato plant yet that’s been too large for these DIY tomato cages to support.